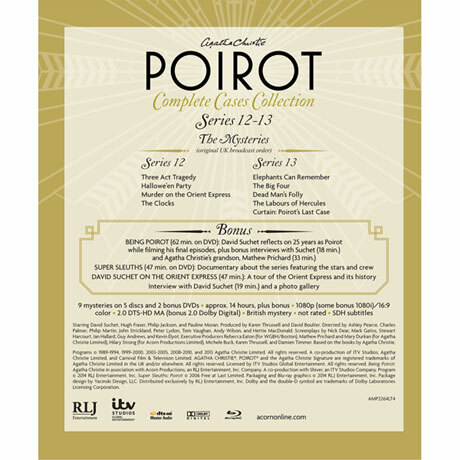 Spanning 25 years and the entire Poirot canon, David Suchet's iconic portrayal of Agatha Christie's famous Belgian detective has been hailed as "one of TV's greatest achievements" (Telegraph, U.K.). 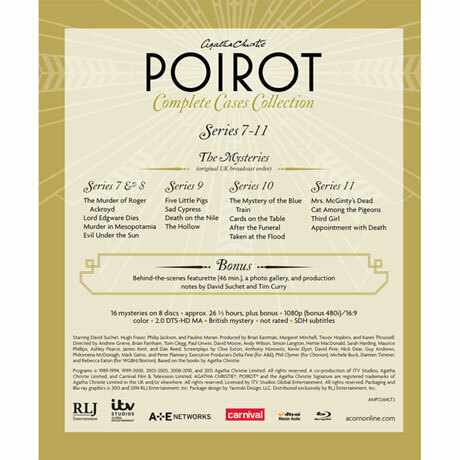 These 70 episodes of the hit mystery seen on public television are rich with period detail and feature some of film and television's brightest stars, including Michael Fassbender, Emily Blunt, Jessica Chastain, Damian Lewis, Tim Curry, Iain Glen, Christopher Eccleston, Aiden Gillen, Peter Capaldi, Lindsay Duncan, Hugh Bonneville, and many more. 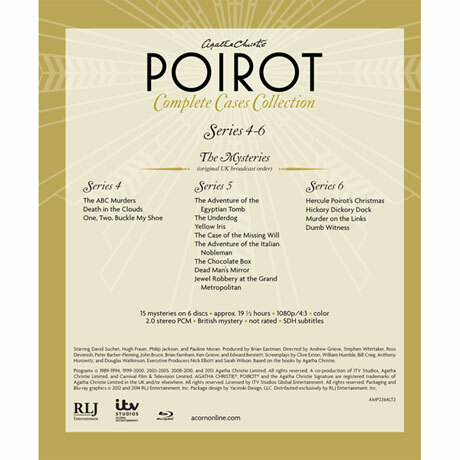 Follow Hercule Poirot and his "little grey cells" from his very first case to his final curtain call. 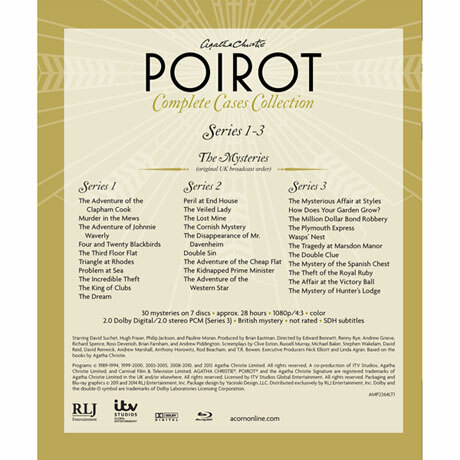 This 33-disc set includes all 13 series of the beloved mystery, remastered and restored to original U.K. broadcast order. 70 Episodes, approx. 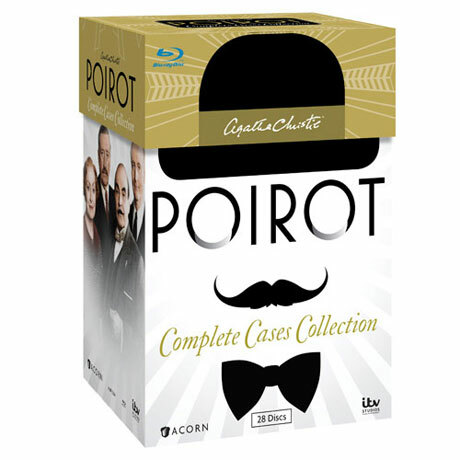 86 hours, plus bonus on 28 Blu-ray discs.